Lying to the north-east of the Italian province of Trentino, Val di Fassa is one of the largest alpine valleys in the Dolomites. Its closeness to some of the most legendary and staggering massifs in the range, such as the Sella Group, Catinaccio, Sassolungo and Marmolada ―the so-called Queen of the Dolomites and the highest peak in the range―, makes it an incredible destination to set out for a myriad of mountain adventures. Val di Fassa is comprised by different mountain villages, like Campitello di Fassa, Canazei, Mazin and Moena, and it’s the only Ladin speaking valley in Trentino. The Ladin culture is deeply rooted in the local traditions, food, art and legends. 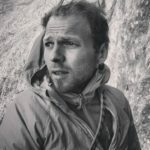 To learn more about the endless possibilities that Val di Fassa offers, we’ve talked with Etienne Bernard, an IFMGA Mountain Guide & Ski Instructor born and raised in Campitello di Fassa. Together with him, we’ve created this guide of the best outdoor activities to enjoy in Val di Fassa all year round! 1| What to Do in Val di Fassa? Rock climbing on the Sella Towers. Photo: courtesy of Etienne Bernard. Sella Towers: this group of four towers is an iconic sight of the Dolomites. They can be easily reached from the Sella Pass, a mountain pass which links Val di Fassa and Val Gardena. The first tower is the smallest and the most popular among climbers. For those seeking a challenge, the second tower boasts a legendary route: the Messner route, on the tower’s steep North Face. Go rock climbing in the Sella Towers! Vajolet Towers: these stunning towers are part of the Catinaccio massif and can be reached in less than 1-hour drive from Val di Fassa. They provide wonderful trad climbing and sport climbing routes of medium difficulty. The very exposed Piaz Arete/Delagokante route on the Delago Tower is definitely a classic and offers outstanding views from the top. Go for a rock climbing day in the Vajolet Towers! Saas Pordoi: this huge massif is known as the ‘terrace of the Dolomites’. A cable car on the base of the Saas Pordoi mountain pass leads you easily to the summit, making this one of the most visited spots in the area. The IV+ climbing route on the south face of Saas Pordoi, Via Maria / Mariakante, is one of the most popular. Go rock climbing in Saas Pordoi! Check out all the rock climbing trips from Val di Fassa! Keep reading: The best 10 rock climbing spots in the entire Dolomite range! Roda di Vael via ferrata: an adventure for the whole family! Photo: courtesy of Etienne Bernard. Via ferratas are climbing routes equipped with fixed steps, ladders and suspended bridges. During the First World War, several ‘iron routes’ were built in the Dolomites to help the armies traverse the mountain. More recently, those paths were restored, providing an exciting mountain adventure which is halfway between rock climbing and hiking. Cesare Piazetta via ferrata in Piz Boe: Starting from Pass Pordoi, 12km away from Canazei, you can reach this challenging route that will take you right up to the summit of Piz Boe. It’s a long and demanding via ferrata with some very exposed sections. Recommended for those with very good physical conditions. Book a guided trip to Cesare Piazetta via ferrata! Marmolada west-ridge via ferrata: this wonderful (and popular) itinerary allows you to reach the highest summit in the Dolomites. Built in 1903, this is also one of the oldest via ferratas routes in the area. The route doesn’t entail much difficulties. However, besides the via ferrata there are some glaciated sections which require the use of crampons, making the journey even more exciting. Book a guided via ferrata trip in Marmolada’s west-ridge! Climbing a via ferrata in Val di Fassa can be “a journey into the past, a way of traveling through time, as the routes in the valley showplace the biggest war in history: World War I”, Etienne points out. Explore all the via ferrata routes from Val di Fassa! Steep skiing in the Sella Group. Photo: courtesy of Etienne Bernard. “Val di Fassa is the perfect union between snow and ski, with dusty snow under the sky and the magnificent massifs of the Dolomites over your head. It is one of the most popular destinations in the Alps, where you can ski on perfectly prepared white carpets from December to early April”, says Etienne. Val di Fassa boasts several interconnected ski areas which are part of the Dolomiti Superski. Besides, the imposing Sella Group is home to a legendary ski tour: the Sella Ronda. This spectacular ski circuit circles the entire massif and traverses 4 different valleys: Val di Fassa, Val Gardena, Badia and Arabba. The Sella Group provides outstanding opportunities for steep skiing. Here you’ll find one of the most famous off-piste ski descents in the Dolomites: the Val Mesdi, which starts from Pordoi Pass. Ride the Val Mesdi with a guide! Other amazing steep skiing itineraries in the Sella Group include the Holzer couloir and the Sass da Forcia couloir. Go steep skiing in the Sella Group! Finally, an exciting option in Val di Fassa is to go on a hut-to-hut ski touring trip. If you have some off-piste skiing experience and you are on a very good physical condition, you can venture deep into the snowy mountains and stay at some of the many mountain huts in the area. Some of the highlights include Passo del Mulaz, Duron Valley, Antermoia Hut and Passo delle Selle. Join this 3-day guided ski tour in Val di Fassa! And in case you are on a tight schedule, you may want to consider this 1-day ski touring option. Check out all the ski touring options in Val di Fassa! Ice climbing on the Fontanazzo icefall. Photo: courtesy of Etienne Bernard. Everyone knows Val di Fassa for being a ski paradise during the winter season. But do you know it also has some incredible frozen waterfalls to climb up? Ice climbing may not be as popular, but it can make a great compliment to your ski holiday in the Dolomites. There’s a wide variety of venues to explore, to easy ice routes for beginners to more complex multi-pitch routes for seasoned ice climbers. Fontanazzo icefall and Rio Pelous are two of the classics, which can be easily reached from Canazei. Go for a 1-day ice climbing trip in Val di Fassa! Another interesting spot for ice climbing is the Sassolungo, with challenging routes and the chance of climbing goulottes, the lines of ice formed in the mountain crevasses. Some of the most popular include Goulotte Mistica, Goulotte Clean Gully, Goulotte Raggio di Sole, and Goulotte Holzknecht. Book an ice climbing trip in the Sassolungo. See all the ice climbing trips in Val di Fassa available at Explore-Share. 2| Where to Stay in Val di Fassa? Canazei is the biggest and most popular town in the Valley, lying strategically between the Sassolungo, the Marmolada and the Sella Group. The second most touristic village is Pozza di Fassa, which is located exactly at the heart of the valley. Hotel Gran Paradis (Campitello di Fassa). 3| How to Get There? One of the things that make Val di Fassa a great touristic destination in the Dolomites is that it’s quite easy to reach. By plane: the closest airports to Val di Fassa are the ones in Bolzano (40 km), Treviso (160 km), Verona (180 km) and Venice (175 km). From any of them, you can take a bus, taxi or a rented car and reach the valley in less than 3 hours. By train: the nearest railway stations are Bolzano (40 km), Trento (80 km) and Ora (55 km). There are daily bus connections from each of these stations to the villages in Val di Fassa. By bus: you need to take a bus either to Bolzano (40 km) or Trento (80 km), and from there connect with a service that takes you to the valley. Hut-to-hut ski touring around Val di Fassa. Photo: courtesy of Etienne Bernard. In the heart of the Dolomites, Val di Fassa awaits with incredible mountain adventures to enjoy during the summer & the winter season. Its beautiful alpine villages, rich culture and hospitable people make it one of the top destinations to visit in Trentino. What are you waiting for? Start planning your next holiday in Val di Fassa!